As your daily commute leads you into the Edmonton core, you may be passing by older communities of character and thinking “How interesting would it be to live here?” Curiosity sets in and the possibilities start to unfold. At this point, you’re beginning to imagine your next place to call home. Now you might not be keen on investing into a home made prior to the 90’s but you’ve seen new homes in existing communities from time to time. The City of Edmonton refers to these projects as Infill homes. Infills have been a popular choice for a variety of residents including young professionals, new families and mature individuals who have grown within the community. They are encouraged by the city to bring balance to Edmonton communities and to address concerns over the continual growth our city is experiencing. Edmonton is continuously evolving and Infill neighborhoods promote economic, environmental and social sustainability. Utilizing and improving existing infrastructures such as waterlines and sewage systems allow for the city to smartly invest in the right areas. Because mature communities are usually closer to commercial areas and transit hubs, Infill homes in Edmonton provide easy access to transportation that is environmentally friendly. Infill houses are built in established neighborhoods where every modern amenity is easily accessible. Walking, cycling and using transit systems cut down on harsh emissions while also easing the upkeep of bridges and roads. Property values increase when new Infills are built and benefit the surrounding residents. With more homes occupying Infill spaces, schools and commercial businesses can support more families in the area. 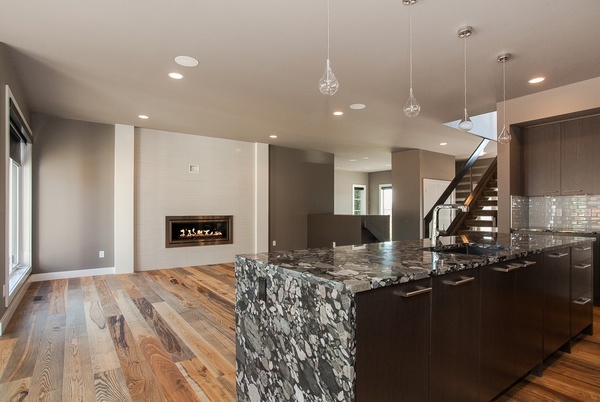 Infill developments allow for a wide range of possibilities for building homes in Edmonton. Small scale projects allow for planning on spaces such as secondary, garage, and garden suites. These tend to be a great source of income for owners who rent out suites on their property and also provide options for people looking for short-term housing. Regular infills such as single detached homes, duplexes and townhomes are also commonly seen as our city evolves. "Skinny homes" have been a popular trend in our city and are typically built on lots that are 25 to 33 feet wide. The great thing about a skinny home is that it can feel like a townhouse or duplex without having to share the walls with your neighbor. If you are planning to build a single detached home, there are a variety of ways to personalize and design your space depending on the zoning requirements. You may consider building a bungalow with a loft option or a two storey home with an extra level for personal office space. Properties in Edmonton are restricted to a zoning classification system that states where residential homes, parking lots or commercial developments can be built. Zones are able to control the height, shape and use of buildings. Fortunately, the zones generally don’t control architectural styles which allow for more creative freedom when designing the exterior of your home. Residents can easily use the online map tool provided by the city of Edmonton to search their address and find out their specific zoning category. As new ideas come into place, we may occasionally want to have a space rezoned or changed entirely. New changes to our city’s bylaws are able to help utilize land in a better way. Subdivisions allow landowners to split or subdivide large lots over 50 feet wide, into smaller 25 foot lots that can be used for skinny homes. There are processes in place to accommodate these requests and include a Land Development Application to be submitted. Older communities are known for having mature streetscapes and lush environments with an undeniable persona. Many families currently residing within these neighborhoods want to ensure that the character of their beloved community remains intact. The city has made tremendous efforts to incorporate discussions and panels so that everyone involved in the process could voice their opinions and put together a process that could work for all. One of the solutions was creating a Mature Neighborhood Overlay in addition to the zoning requirements seen in each community. If you plan on selecting your new home in an Infill community, part of the process is to engage with the current residents and to share your excitement. Some areas require neighborhood approval in order to take the next steps. Details such as the process and timeline of the build will help them to understand what you plan to achieve and prepare them for any potential disruptions happening around them. It will give them confidence that you’ve done your research on permitting and that there is a plan in place to keep the site maintained. 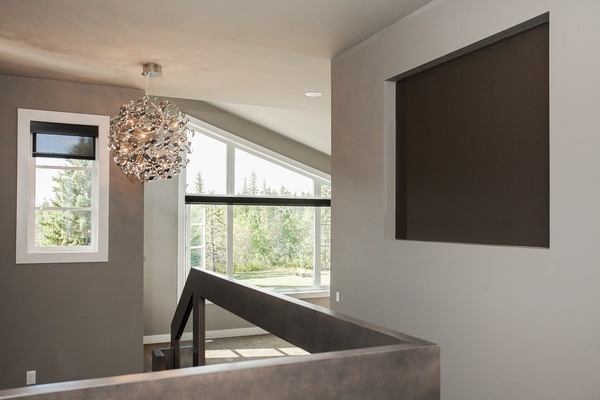 Even with a wide selection of custom home builders in Edmonton, not every builder has the same expertise for Infill development. Finding a builder who has experience will help ensure that your process goes smoothly and will help you be realistic with the timeline and costs involved. As an example, you have the opportunity to converse directly with our in-house architectural team at Kanvi. Because we've created Infill homes in the past, our process has been refined and we take a detail-orientated approach. We make sure to discuss any special requirements for your property and create personalized ideas for your custom design. It is also important to consider the resale value of your Infill home with your builder. They can help you consider the value of the overall home compared to other properties in the neighbourhood. By doing so, you'll set the right expectations on what your home will be worth and it'll be less difficult to sell in the future. Custom builders will also handle the permitting process and obtain the approvals so that the next steps can be achieved. Make sure to discuss any demolition requests if needed. If you already own the property, you will usually be required to provide land topography as well as a Block Face survey that can be acquired through companies specializing in geomatics. These items will help your builder find out where your home will sit best on the lot as per regulations and guidelines. Be sure to discuss any concerns with your builder such as damages occurring to the trees, street, or neighboring properties. We recommend discussing the practices being used by the construction team to compliment the research you’ve done so that you may prevent any issues that could arise in the process.